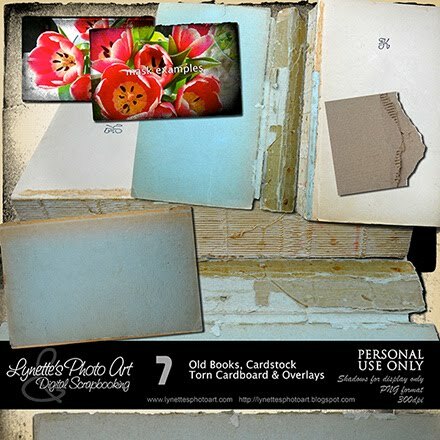 This kit has all the weathered and worn old Old Book elements that you need, vintage cards, overlays and torn cardboard. The book elements are easy to recolor just right for your design. Click the image to enlarge. Click the Buy It Now Button under the image to purchase from my PayPal Store for $4.99. My gift for you today is a mask I just love made from this kit and my Moths & Moth Brushes Kit. Enjoy! Merci BEAUCOUP for these "beautiful" old books ! Your work is really neat ! I'm a fan of all things vintage and love giving my digital scrapbooks that feel too! I'm also a follower of Christ. Thank you for sharing your faith with others!